It’s no secret that present self properly and with dignity – a great art. The expression of the inner world through the appearance, demeanor, judgments – it is a whole philosophy and lifestyle. As in any art, is valued only an original. 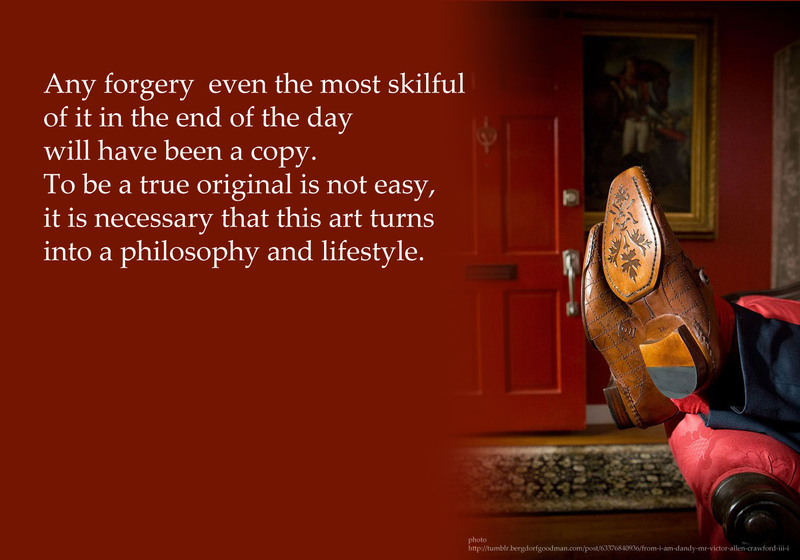 Any forgery even the most skilful of it in the end of the day will have been a copy.To be a true original is not easy, it is necessary that this art turns into a philosophy and lifestyle. 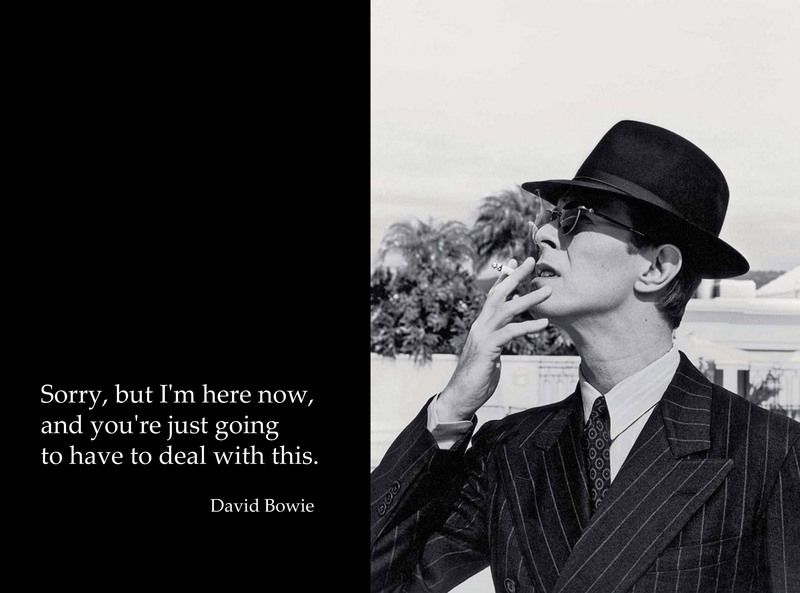 At all times, the dappers,fops, poseurs lived – the names have changed, but the essence remained the same. But there were some people who set the tone, direction, trend, not because they felt the conjuncture, but it was just their real inner self. Who are they, these true representatives of their time, who have a delicate taste and own aesthetics. Who could turn almost any event in the fashion and cultural phenomenon in society. Who are they, who embody elegance and seeming lightness of being on the dramatic background of the time and conscious choice of solitude. Who are they, who oppose themselves to the society and its way of life, but at the same time and entertain it. So dandy. Dandy? It’s the 19th century … someone notes disappointedly. And will be incorrect. In fact, dandyism originated in England, with its traditions gentlemanly and as a reaction to the dominance of pretentious Parisian fashion, influenced and influence still on the tastes and lifestyle. The bulk of these people were from the middle class, but to strive for an aristocratic lifestyle. Social inequality of that time is clearly evident in the costumes and manners of dressing. It were the dandy who introduced more democratic form of clothes, bringing it to perfection in terms of style. In principle, they have identified the male outfit for two centuries ahead. They erased the clear boundaries in this issue. Some of them were pretty influential people, with them were considered, and their opinion was important, even for the crown princes. The most bright representative of this movement was George Bryan Brummell (George Bryan «Beau» Brummell (1778-1840)). His biographer described him as a handsome man, tall, with a beautiful figure, beautiful hands, elongated face with a reddish beard and with light brown hair. His features are amazing, the shape of the head is beautiful, a forehead is surprisingly high. His whole image said more about the spiritual than the physical inclinations. His expression was extremely intelligent. 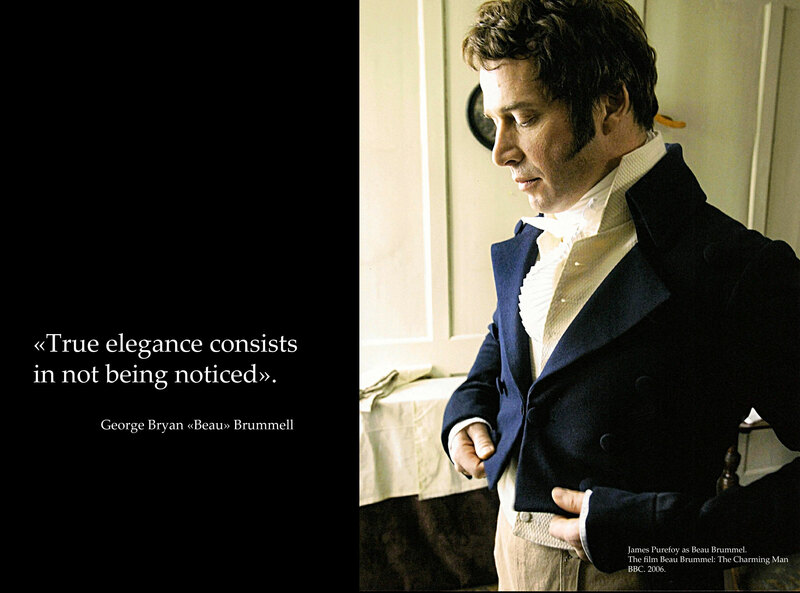 Brummell himself was not satisfied with the impact that came from his appearance and clothing. He also had «an outstanding gift to entertain». He was still a bold and lively scoffer. he ridiculed all the defects in the taste in his surroundings. At the same time he showed and his spiritual superiority. With amazing courage, he could use his sharp tongue towards the people that surpassed him by their position. He could to impel fears in people of being ridiculed. He was familiar with the credulity of the world, was familiar to the market price of self-importance, and soon he began to play the role of judge recognized by the highest instance in the community. It so happened that there was his name associated with «every triumph, which courage as the greatest virtue of the world generated. Such a man charmed by his great spirit». It was said that he would sit at the window of the most prestigious clubs in England and dissected styles of passers-by. Many of them specifically tried to get into his eyes, and to obtain his approval, they were even ready to endure ridicules. 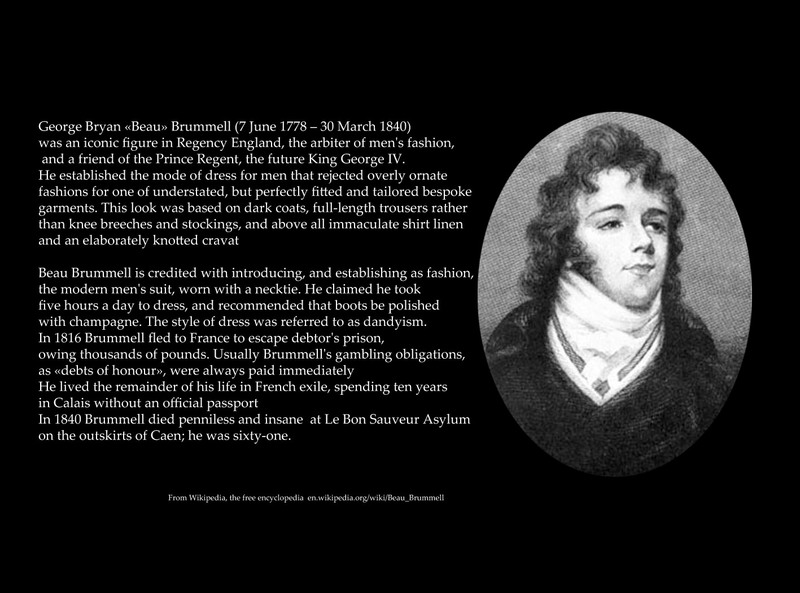 Being a big fan of Brummell, Byron once said that more would like to be Brummell than Napoleon. 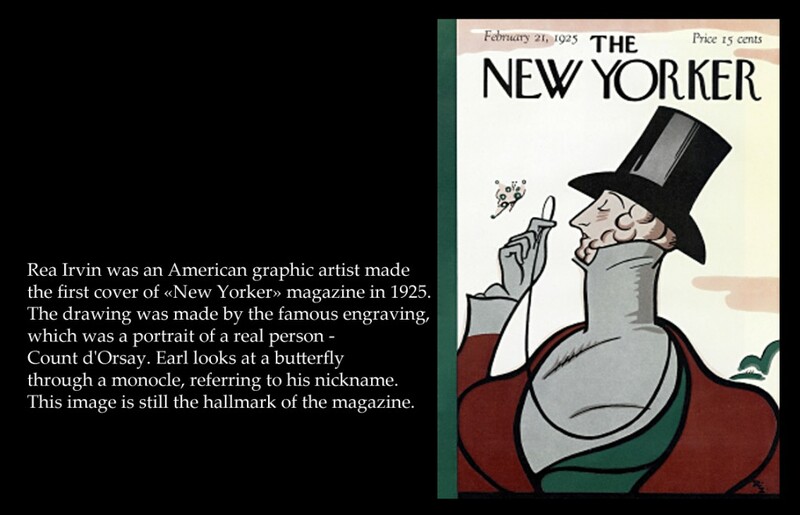 This dandy was a true representative of this phenomenon and has never been surpassed, it is because it is only for him to stay and to rule in the fashion world was the content of his life. 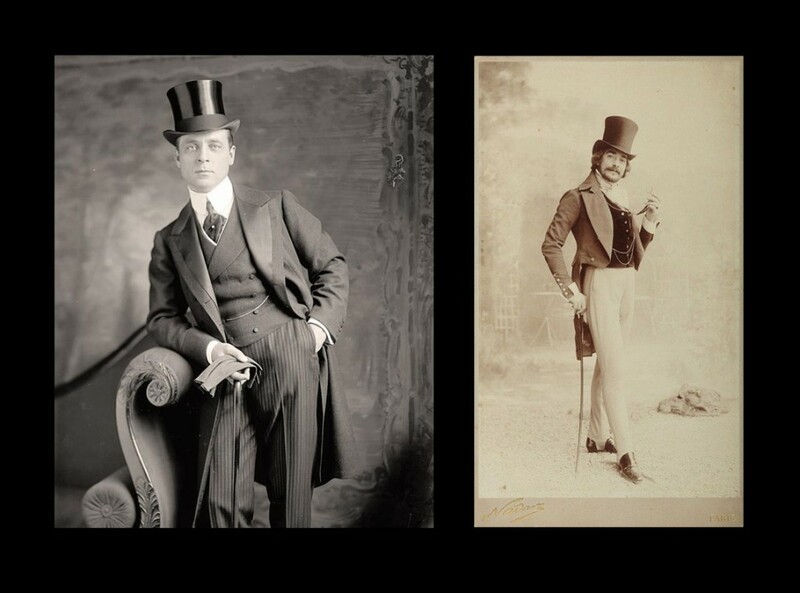 But dandyism is not only a style of dressing, but also a code of honor and behavior. There are certain rules and laws. The main features of this are pride in the guise of politeness, coldness, sarcasm, irony. The first rule of dandyism is «Don’t surprise anything. Be calm». 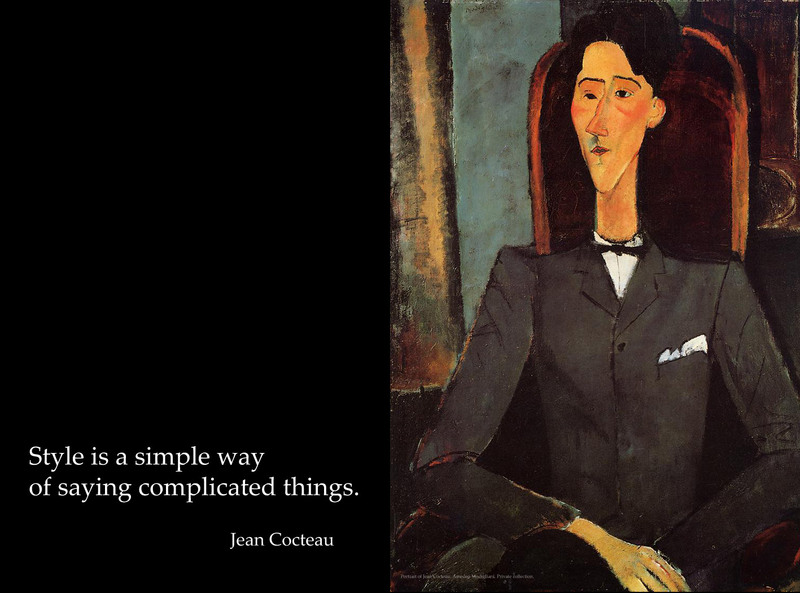 The second rule is to keep dispassion, to amaze by abruptness. The third rule is to leave out any social event as soon as the reached impression. 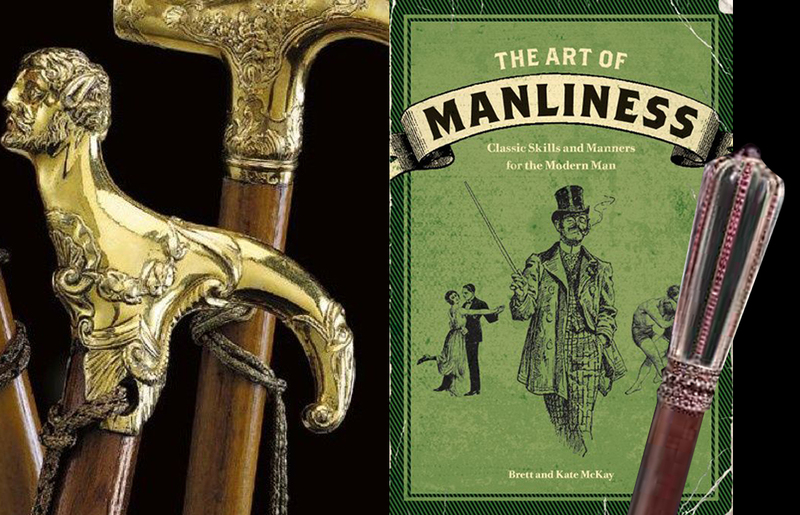 «Control of yourself, and you’ll rule the world» is the true creed of dandyism. Paul Rainer. Who Said…? «Who’s Your Fat Friend?» Beau Brummell, about the Prince Regent (later George IV) in 1812. Gouache on Board. Private Collection. As noted above, the foregoing fashion was too pretentious. Brummell, as the founder of the phenomenon of dandyism, introduced the fashion style of dress elegantly, imperceptible, almost ascetic. But there were some distinguished parts, accessories. ( always perfectly clean, that should have been changed 5-6 times a day). Many dandies were collectors. So, iconic bagatelles could be snuffboxes or other overseas curiosities. 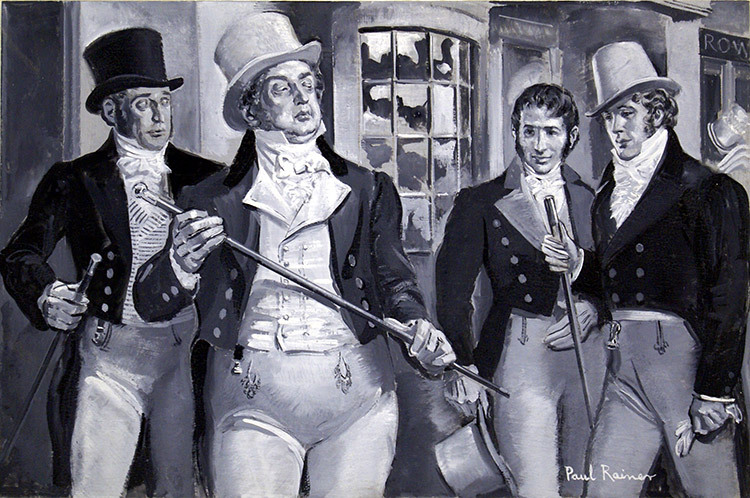 One favorite pastime of dandies in times of Brummell was aimless walking. The kind of way to show off oneself. Balzac wrote a treatise on the theory of gait. In his description the such step saves motion and minimizes the effort. For more effect of finesse the walking stick becomes an important accessory. The brightest follower dandyism in England further was count d’Orsey, but unlike its predecessor Brummel, he was more focused on his own person on than in any search of social significance. He was rich and well recognized in the community. In the memoirs of his contemporaries, he was described as a very pleasant man, passionate shopaholic, creator of his own flamboyant style. He adored bold combinations of colors, put rings on top of the glove. In society he was called «butterfly». Some things got his name there were some coats, perfume. Many clothing manufacturers were trying to promote their business and sent him samples of their clothing or accessories for free. He was a walking advertisement. Count d’Orsey was able to infect others by love for life and the ability to live to the fullest. Robert de Montesquiou, Oscar Wilde, Jean Cocteau, Charles Baudelaire and Gabriele D’Annunzio also identified themselves as dandies. 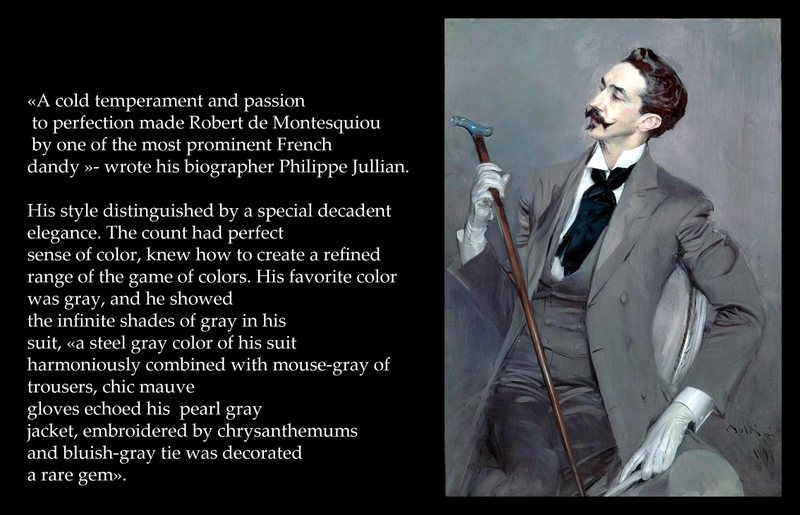 Contemporaries called Montesquiou «Professor Beauty», «master of subtle smells.» This esthete entered into the most high circles and he was known as an expert on the most refined elegance and patron of the arts. Robert de Montesquiou, portrait by Giovanni Boldini, Musée d’Orsay, Paris. A writer and a poet, was the soul of any company. He had his devoted fans and female fans in fashionable circles, but the count really appreciated talented artists. He was a patron of the arts and tried to help everyone whom he considered gifted. It was he who made one of the first orders to Emile Gallefor for glass vases , helped the needy Verlaine, consulted Sarah Bernhardt about the choice of costume, made a statement of the play for Ida Rubinstein, and was delighted and strongly advertised Russian ballets in Paris. 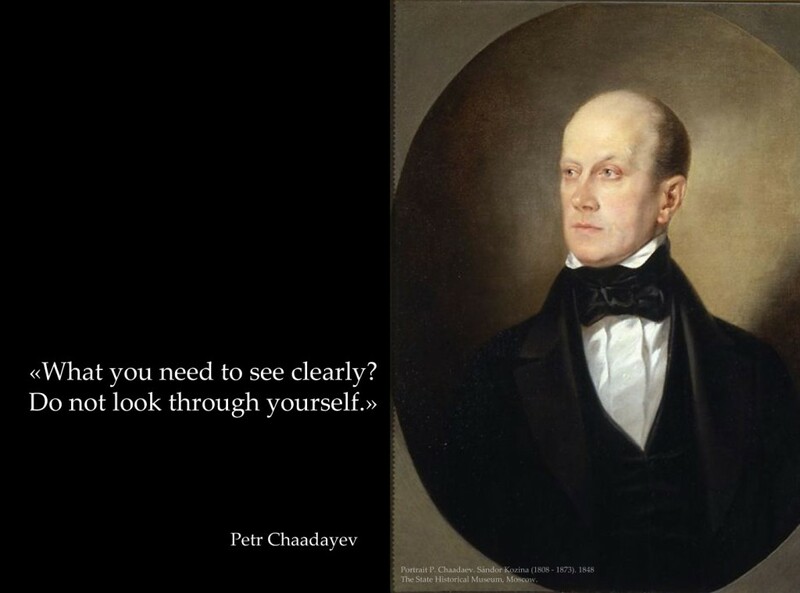 In Russia, in the early XIX century, own dandyism formed his with national characteristics. Unlike England, with its arrogant and prickly dandy, or France, where the representatives of the movement were more inclined to luxury and hedonism, the young russian esthetes inspired by heroic plans, some of them threw the cap over the mill, reckless duels, revelries, playing cards and loosing entire fortunes. 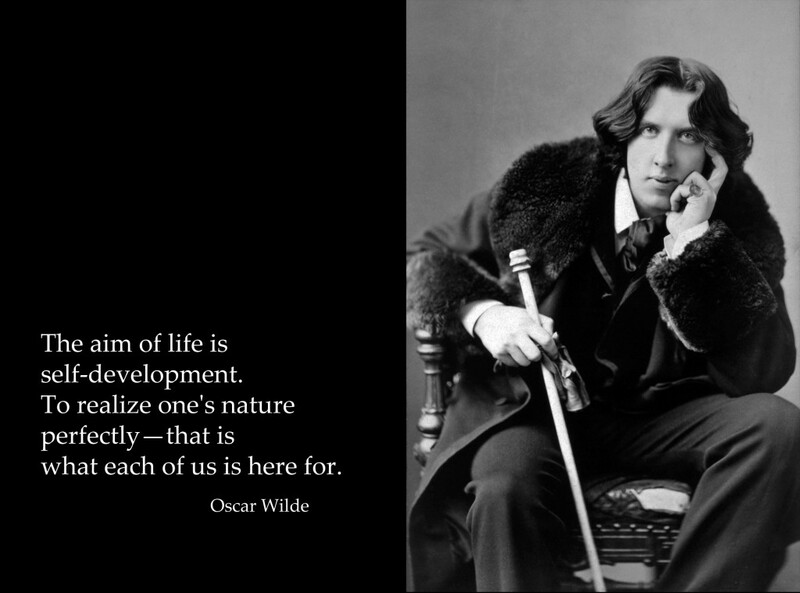 But, of course, there were the thinkers, writers, poets, prone to romanticism among them. Some of the Russian dandies were true patriots and want to correct the horrifying, in their opinion, the situation in Russia at that time. They wrote philosophical treatises, created secret societies, the fates of many of them were tragic. Government pursued them, their society, ultimately rejected them. In this context, there was interesting fate of the philosopher and essayist P. Chaadaev, who for his criticism of the government was recognized as insane and his works were banned in Russia. The contemporaries considered him a true dandy. There were of course a woman dandy. It was the brightest representatives of his time – George Sand, Coco Chanel (Gabrielle Bonheur Chanel), Marlene Dietrich (Magdalene Dietrich), Zinaida Hippius. Once Chanel admitted to Salvador Dali that she was «she did in her whole life only what a man’s suit remade in women’s one: jackets, hairstyles, ties, cuff » .But dandizettes( dandies-women) deserves an another article. The desire for easeness of dandy and restraint allowed Chanel reformed revolutionary the female wardrobe, according to the philosopher Barbara Winky «godfather of this new femininity, born under the sign of masculinity», was dandyism. Dandizettes( dandies-women) is the interesting theme and is deserved an another article. 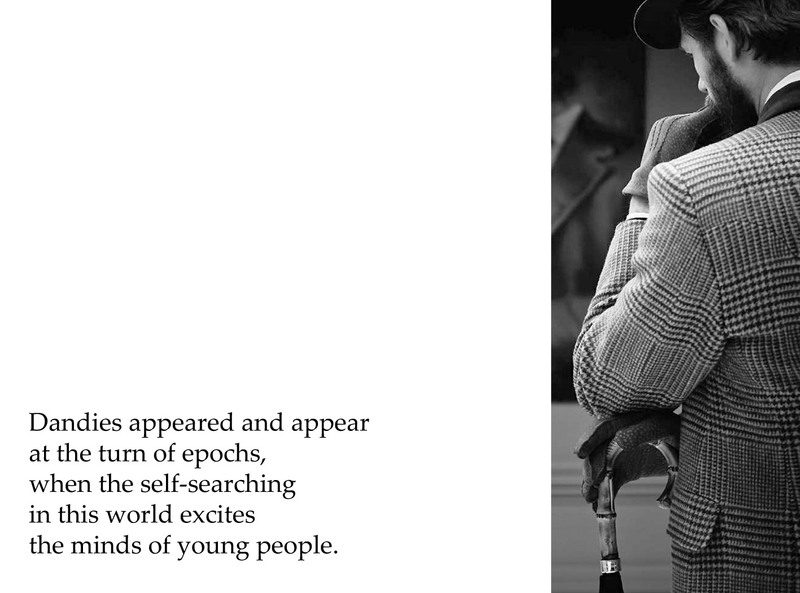 To summarize our narrative of the dandy, we can say that the dandy appeared and appear at the turn of epochs, when the search for oneself in this world excites the minds of young people. This is the same challenge to society as in the days of Oscar Wilde, when machines manufacture killed craft tradition, tasteless captivated houses, wardrobes and minds, not just artists, philosophers, and people with a good sense of style were also ahead of time in an effort to express your own taste through lifestyle behavior demeanor (sometimes provocative). Nowadays, the interest to this phenomenon higher than ever. Modern dandies exists today. And their life is interesting to others. They try by their individualism, their taste, the desire to create his own aesthetics get away from the faceless mass culture, from hustle life, from fast food, from the mass market. It will be discussed about them in the next article. 2. Barbey d’Aurevilly, Jules. In Du dandysme et de George Brummell. 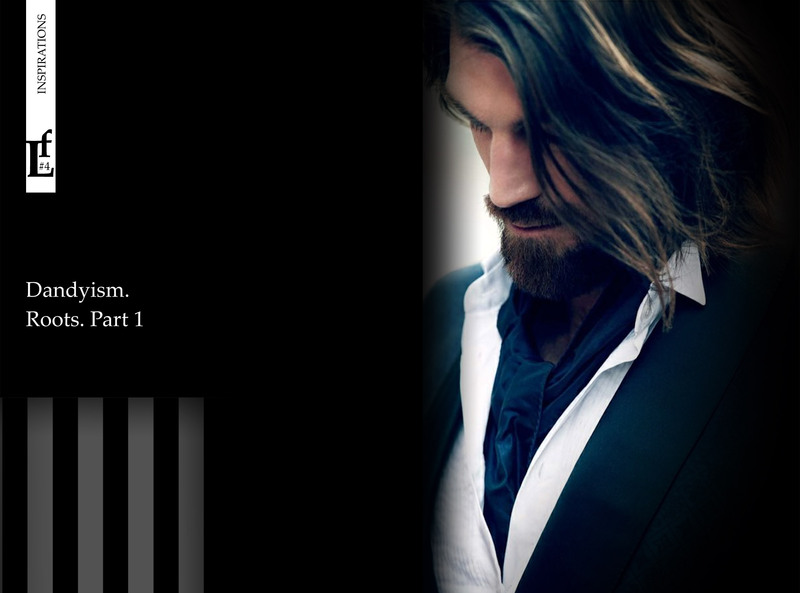 Edited by Marie-Christine Natta. France: Plein Chant, 1989.